Reed Security has partnered with North America’s Leading Provider of Live Video Monitoring Solutions - Stealth Monitoring. Stealth Monitoring's customized live video surveillance monitoring solutions work in real time, to catch events as they happen. We watch when there is activity, not just motion, using a combination of video analytics and human intelligence. 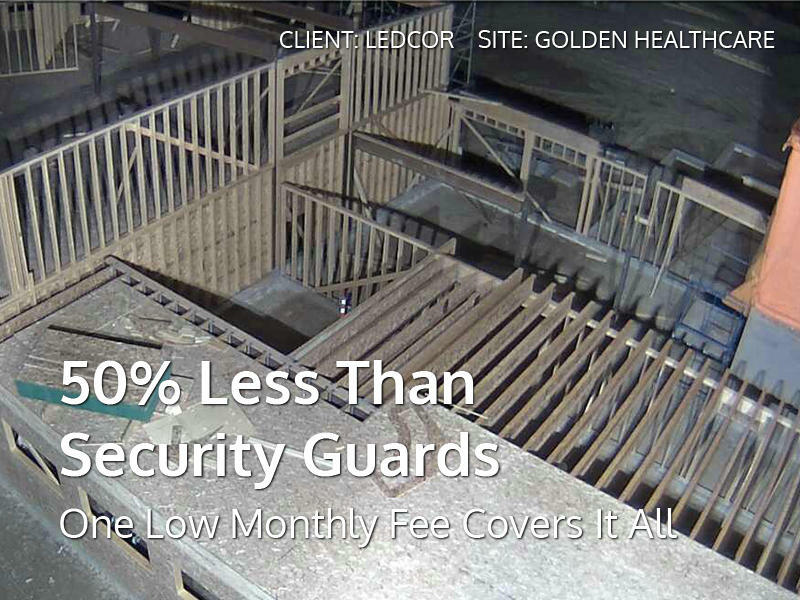 Our proactive solutions are typically 25-60% more cost-effective than traditional security guards and provide the highest possible level of security while minimizing liability. Our system has the added benefit of recording and archiving site activities 24/7. Our video review team is at your disposal, helping construction teams manage sub-trades and site activities to assist in projects being completed on-time and on-budget.